Is your financial paperwork all over the place? Do you need someone to help you take control? 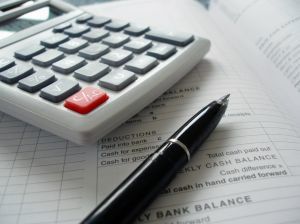 R A Book Keeping offers financial recording services to help you keep track of your business paperwork and accounts. From a small business to medium size organisation, partnerships, charity, pre-school or retail outlet, R A Book Keeping can help you manage your business more efficiently. Find out about our services. Put your financial records into safe hands to gain peace of mind, release you from hours of paperwork and help run your business more efficiently. Our local area includes Wiltshire, Bath & North East Somerset and South Gloucestershire. For a reliable and confidential book keeping service at competitive rates click here to contact us. Why use a book keeper? to have records at hand for Customs and Excise, Inland Revenue, Social Security, banks, employees etc. R A Book Keeping hold a certificate of compliance under the money laundering regulations.